Philadelphia Insurance Companies (PHLY), a leading property and casualty and professional liability insurance company for niche markets, announces the hiring of Brian Kilroy as National Vice President of Marketing. Mr. Kilroy will lead PHLY’s wholesale and global broker relationships, as well as focus on business development opportunities between Tokio Marine Group companies. He brings 26 years of insurance industry experience to this new role at PHLY. Mr. Kilroy spent the past 15 years at Zurich North America, most recently as Business Development Leader and Market Customer Manager. In this role, he managed the enterprise production for the Mid-Atlantic Region and served as a liaison to large customers. Previous to that role he served as Sales Director for the environmental group at Zurich. Before joining Zurich, Mr. Kilroy led Great American Insurance’s specialty lines production efforts for Pennsylvania and worked as a Retail Broker for Rue Insurance in Trenton, NJ. 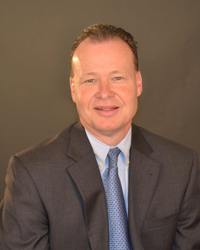 His insurance career started at Philadelphia Insurance Companies (then Maguire Insurance Group) in 1990 as a Corporate Sales Representative. Mr. Kilroy holds a BA in Business Administration and Human Resource Management from Cabrini University. He has served as a CYO basketball coach for the past eight years and is active in the Philadelphia chapter of Coaches vs Cancer. Philadelphia Insurance Companies designs, markets, and underwrites commercial property/casualty and professional liability insurance products incorporating value added coverages and services for select industries. In operation since 1962, the Company, whose commercial lines insurance subsidiaries are rated “A++” (Superior) by A.M. Best Company and “A+” for counterparty credit and financial strength by Standard & Poor’s, is nationally recognized as a member of Ward's Top 50, National Underwriter’s Top 100, and one of the Top 150 Workplaces in America. Policies are underwritten by Philadelphia Indemnity Insurance Company, admitted in all US states and D.C., except Louisiana and Tokio Marine Specialty Insurance Company, a surplus lines insurer admitted in Delaware for surplus lines and authorized in all other US states and D.C. The organization has more than 50 offices strategically located across the United States to provide superior service. For more information, please visit http://www.PHLY.com.